One of our favourite coaches, Marie Forleo, constantly reminds us that insight is only useful once it’s turned into action. What’s a useful first-step to inspire action? To set a meaningful goal, of course! But if you feel like this is sometimes a little easier said than done, and you want some practical strategies to move from goal-setter to goal-slayer, then read on! Before we tackle the how of goal slaying, let’s get clear on what we’re wanting to change and why. 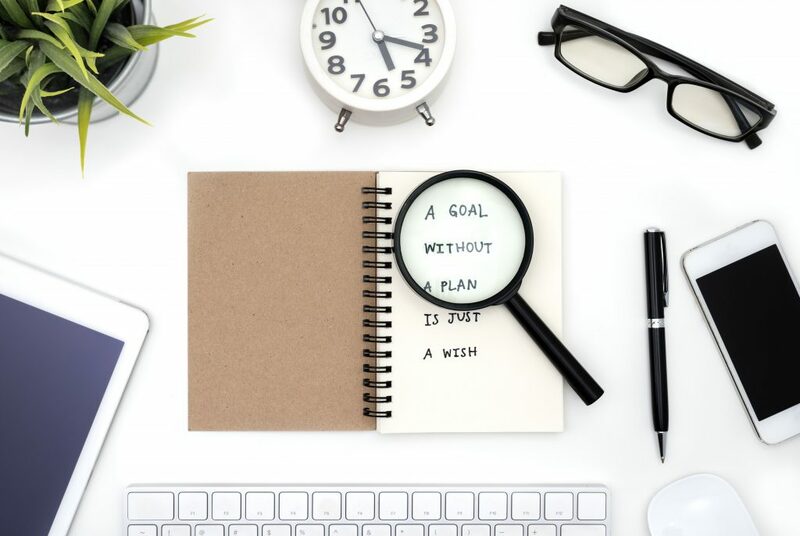 Make your goals specific and measurable, so you can spot when they’ve been accomplished, and consider whether they are attainable, realistic and time-related. Set goals you are willing AND able to work towards and keep in mind a deadline. This will help create enough urgency to fuel your motivation for change. You might notice these tips lead to an easy acronym for goal setting that you’ve potentially come across before…? That’s right, this is the process of setting a SMART goal. We’ve written about the power in setting SMART goals before (haven’t read it yet, click here to catch up). But, to posify your goal setting, you need to add an extra letter. You need to get clear on your “Y”. This means you are setting goals that support a greater purpose, and you are visualising how your life will be more meaningful once you’ve achieved the change. For example, if greater health is on your radar, see if you can attach it to a “why statement” that’s grounded in your personal values around family and lifestyle. Let’s take a look at an example. It puts purpose first. This extra awareness of meaning that frames the goal helps to anchor efforts across time, especially when the temptation to revert to old habits strikes!! It offers a plan B, so that when the inevitable obstacles come our way, we’re prepped with a fall back option and can still feel like we’re moving forward. Most of us set our goals with strong intention. We want the “why”, but the “how” is interrupted by obstacles; running late to the class, the kids getting sick, the trainer going on holidays. Sometimes we make the obstacles up ourselves. Meh, I just don’t like the t-shirt I have in my closet. I don’t want to be seen wearing tie-dye at the gym! Having a realistic backup plan, like running around the block, helps us to serve our overarching goal when plan A is met by obstacles. Y: Why is it important to you? And finally, what’s your Plan B? Keen for more help to set your first SMARTY goal? Click here for your downloadable Goal-Slayer Cheat Sheet to help you posify your next goal. Keen for more freebies? Sign up to our newsletter below to posify your inbox, starting with instant access to our Effective Leadership cheat sheet!